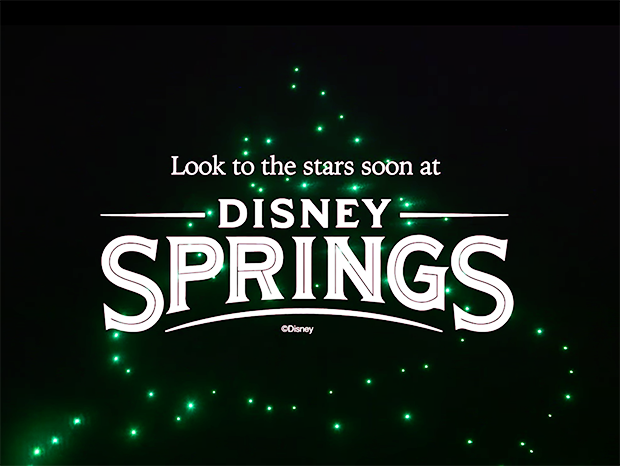 Guide4WDW.com: A Drone Light Show Is Arriving At Disney Springs for the Holiday Season! A Drone Light Show Is Arriving At Disney Springs for the Holiday Season! This morning we have an incredibly interesting news story that is slowly developing. 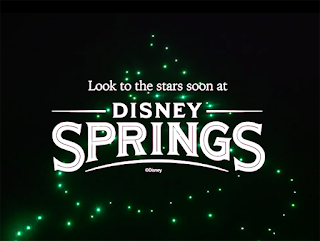 Disney released early today a teaser for an upcoming holiday light show utilizing a vast number of flying drones! Yes, you read that right! After the FAA approved the use of Drone flight just last week, Disney wasted no time debuting plans for a show that must have been months in the making! Many speculated that they had such a show in mind, but very few anticipated a full scale spectacle to arrive so soon and at Disney Springs of all places! The released video is quite short but incredibly mesmerizing. You see a controller, a series of drones take flight in an indescribable hum, and a series of lights create what appears to be a Christmas tree in the sky. The experience is rumored to debut as a part of this years grand plan of activities for Disney Springs this holiday season. This particular show could even debut as soon as mid-November. While all dates are simply speculation, this should be an incredible event to experience!